f you’ve had a website before, you probably already know that there is another key element to web strategy: managing content. Sooner or later, changes will need to be made. Digital ink is never dry. If the site isn’t easy to update, there will be hidden costs, delays or headaches. One simple consideration upfront that avoids this completely is a solid, easy-to-use content management system (“CMS”). Having a consistent, easy-to-use content management system is a “must-have” for any web strategy. Without it, you can expect a slower, more expensive process, even if the changes you have in mind are simple. A CMS or Content Management System is perfect if your goal is to change, update, delete and add content to your website independently. Content Management Systems enables you to manage your website easily and quickly. CMS allows updates or edits of your website content separately-meaning that you can change text without changing the design and vice versa. Content management systems are also practical because a person can make all the necessary changes without much technical knowledge or skills. This all together enables website owners to manipulate their content or change the design themselves if needed. CMS makes it simple to add new pages, blogs, articles, services, product and images to your website. CMS gives owners a better control of the website content and design without interference from a third party. This particular technique is especially handy if website owners need to make instant changes, add new products/features etc., this way they are capable of finalizing the update themselves. CMS is supported by a centralized archive where all content is stored. Implementation of the large amount of sections, departments, divisions, etc..
A customized WordPress theme is an ideal solution for any website as it provides all the necessary functionality and layouts to make your site stand out from the rest of your competitors. 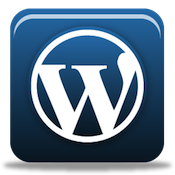 WordPress features and extensions let you virtually create the desired look of your website. Besides the fact that WordPress CMS has become one of the most popular solutions for the website design and development with the detailed tutorials, I provide all my clients with full technical support and consultation on how to use the system. I can teach you to easily update the website. If there are any questions you’d like to ask, don’t hesitate in contacting me. Innovative and yet tested coding techniques let me confidently guarantee that your website is going to meet all the modern web standards. Today SEO is very important thing. As you know it`s not the most important to just have only a webpage, but being in search engines on the top too. Our sites are prepared not only for user, but for search engines as well.